AirAsia Zest opened its international route from Cebu to Kuala Lumpur with an inaugural flight that left the Mactan Cebu International Airport (MCIA) at 6 a.m. today, December 1, 2013. Company and airport executives, at the same time, welcomed the passengers of the first AirAsia Zest flight from Kuala Lumpur to Cebu that arrived at close to 3 p.m. on Sunday with over a hundred passengers. AirAsia Zest chief operating officer Joy Caneba said the Cebu-Kuala Lumpur route opened today is just the beginning of exciting new international air services they will be offering from Cebu. The company’s goal is to build a truly great value airline that serves the needs of passengers and at the same time invigorate tourism in the Philippines, she added. AirAsia Zest personnel welcome passengers of the airline’s first flight from Kuala Lumpur to Cebu. Mary Grace K. Paulino, Cebu provincial tourism officer, said she is grateful that the 7.2 earthquake that hit Bohol and affected Cebu as well as the super typhoon that devastated the Visayas did not deter AirAsia Zest from its Cebu plans. The earthquake damaged tourism and heritage structures in the two provinces, although Bohol suffered worse, added Paulino. “But since Cebu is a gateway, the drop in the number of tourists bound for Bohol also hurt us,” she cited. AirAsia Zest’s new international route from Cebu is very good for the province, Paulino said, adding it is hoped the existing and planned routes would bring in more tourists. 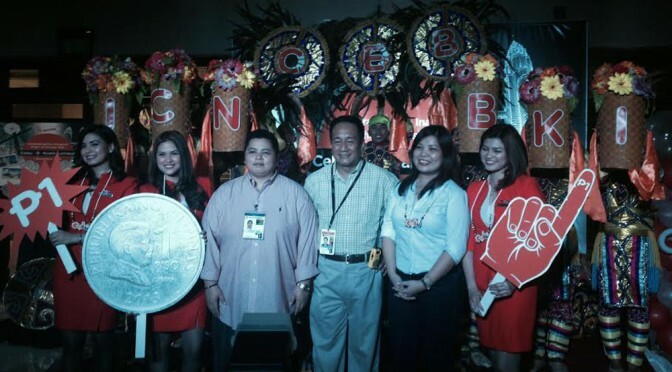 According to Caneba, AirAsia Zest wants to attract and make it easier for over 25 million tourists who come to Malaysia annually to also visit the Philippines by providing flights to top destinations in the country. AirAsia Zest prepares a welcome ceremony for the inaugural flight of its Cebu-Kuala Lumpur route. Before the end of 2013, AirAsia Zest will be adding two more international flights out of Cebu: one to Incheon, South Korea by mid-December and another to Kota Kinabalu by December 19. The airline’s goal is to get 10 percent of 24 million tourists in Malaysia to come to Cebu, she revealed. There will be more routes and flight frequencies opened next year by AirAsia Zest, which currently has 13 aircraft but will be adding two more to the fleet before the end of 2013.